Eyman Plumbing, Heating and Air is proud to announce that it has earned the home service industry’s coveted Angie’s List Super Service Award (SSA). This award honors service professionals who have maintained exceptional service ratings and reviews on Angie’s List in 2017. Eyman Plumbing, Heating and Air has been in business since 1957 and has been on Angie’s List for 11 years. During that time it has received numerous positive reviews. These reviews have contributed to its “A” rating and to its selection for the Super Service Award. This is the first time Eyman has won this prestigious award. Winning the Super Service Award is no small feat, as Angie’s List includes more than 10 million verified reviews in 700 service categories. 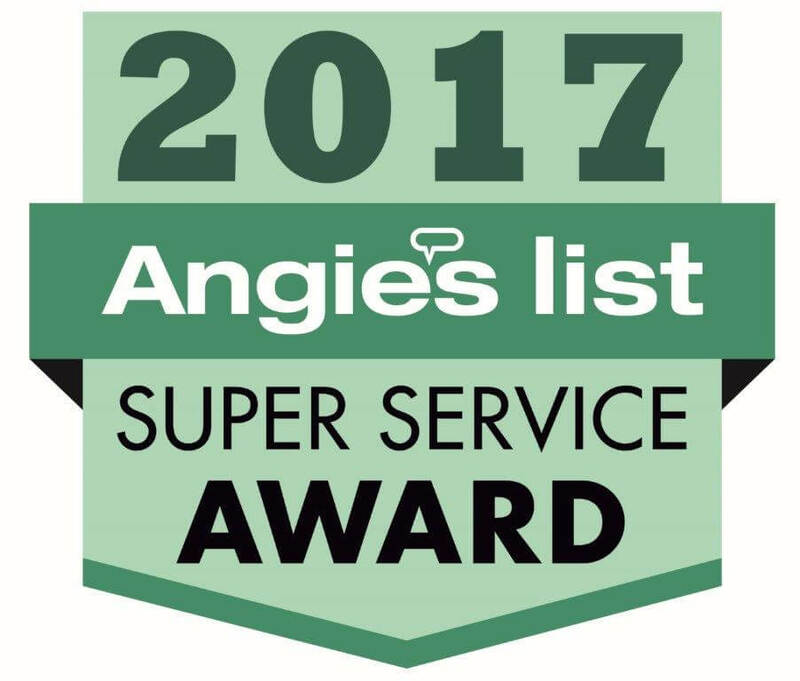 Angie’s List Super Service Award 2017 winners have met strict eligibility requirements, which include maintaining an “A” rating in overall grade, recent grade and review period grade. The SSA winners must be in good standing with Angie’s List, pass a background check, record a current trade license attestation and abide by Angie’s List operational guidelines. A recent review on Angie’s List stated, “Roger was wonderful! He quickly repaired our boiler with a better part than the previous company had supplied, and did a quick system check. He found that our radiators would perform better if they were balanced (bled), and did the job in a very short time. The whole house is more comfortable! Who knew? He is a true pro.” Because of top notch service like this and the truly appreciated feedback from customers, Eyman has been able to maintain its exceptional rating on Angie’s List. Eyman delivers affordable and reliable plumbing, heating and A/C services to commercial and residential clients and has served Omaha, Nebraska, and the surrounding areas since 1957. Eyman’s skilled technicians test and service heating and air conditioning systems to make sure families stay warm during the winter and cool during the summer. Eyman’s offers services including: heating and A/C unit repair and service; hot water heaters repair, replacement and service; utilities like sewer and water pipes; clogged drain and drain cleaning; pipes and plumbing issues; boiler repairs and installation.